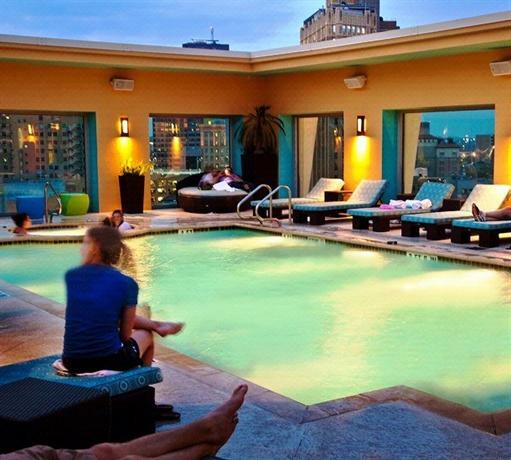 Located on the 12th floor of the Luxury Hotel Contessa the heated rooftop pool offers views of the San Antonio Riverwalk and skyline. The walk in pool is enclosed by floor to ceiling windows and features soft chaise lounge chairs, modern art, intreresting sculpture, large planters, a shaded pergola, and a pool side jacuzzi. The jacuzzi is 3' ft 6" inches deep and the pool reaches a maximum depth of 4' feet.